What to Expect at your Employment Based Green Card Interview with USCIS | Minsky, McCormick & Hallagan, P.C. On August 28, 2017, the United States Immigration and Citizenship Services (USCIS) announced a new policy requiring all employment based green card applicants to appear for an in-person interview with a USCIS officer before their green card can be approved. These employment-based green card interviews are scheduled to begin on October 2, 2017. Previously, except in certain situations such as an applicant’s criminal history or unlawful presence, most applicants in these categories were not called for an in-person interview with USCIS officers prior to adjudication of their green card applications. The USCIS estimates that only 5-10% of employment-based green card applications required an in-person interview under the previous policy. Under the new policy, however, all EB-1, EB-2, EB-3 I-485 applicants (filed on or after March 6, 2017), as well as their dependents, will have to attend an in-person interview with USCIS so that an officer can verify the applicants’ background. 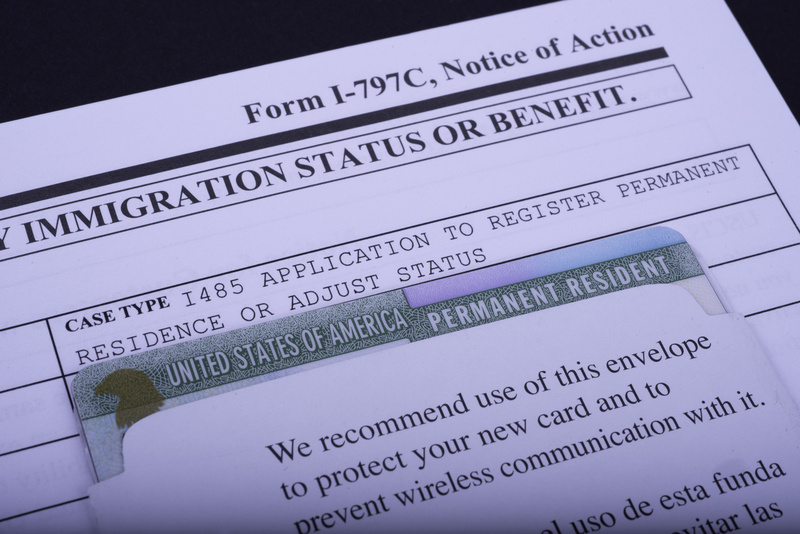 Once the I-485, Adjustment of Status to Permanent Resident application has been filed and is ready to adjudicate, it will be sent to the National Benefits Center (NBC). The applicant can soon thereafter expect to receive an Interview Notice from the USCIS that lists a date, time, and location the applicant must appear for the interview. Questions related to the applicant’s job and job duties. Questions related to the legality of the relationship to the primary applicant. Children should present birth certificates, custody/adoption or similar documentation. Questions related to the bona-fide nature of the relationship with the primary applicant. Specifically, spouses should expect to bring documentation that establishes the marriage, such as evidence of sharing the same residence, evidence of joint taxes/accounts/assets, evidence of children born to the marriage, etc. At the time of the interview, an I-140 Immigrant Petition for Alien Worker will likely have already been approved by the USCIS service center, and the interviewing officer does not have jurisdiction to re-adjudicate the underlying I-140 petition. The interviewing officer, however, may question the applicant regarding his or her education, experience and employment, and may determine the validity of the information and supporting documents submitted with the I-140 petition. The interviewing officer may also refer the I-140 back to the USCIS service center where it was adjudicated for revocation based on information discovered during the interview if it appears that the I-140 was approved in error. The USCIS has not provided information regarding how long it will take to adjudicate employment- based green card applications, or even how long an applicant can expect to wait for the interview. But it has stated that the new interview requirement will amount to approximately 17% of the agency’s total workload. This will naturally cause further delays in all adjudications. USCIS has acknowledged that there will be an increased delay in processing times for all interview-based USCIS applications, including family-based green card applications and naturalization applications. It is likely that green card applications may take 1 year or longer to adjudicate. Prepare for the interview by reviewing in detail the information and documentation submitted with the underlying I-140 and I-485 and request that your immigration attorney attend the interview with you, if desired. If you are an employer or employment-based green card applicant, please contact our office for assistance regarding the newly implemented mandatory interview process.